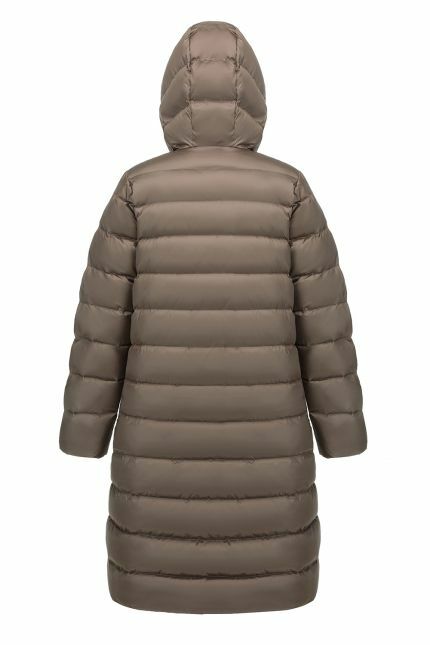 Hetregó Leandra lead grey down coat is a reversible jacket with hood: wear it showing off the horizontal quilting and the two front pockets or wear it on the other side if you prefer a minimalist design. Made in nylon, this coat has a matching belt that you can use to style the fitting of your coat. 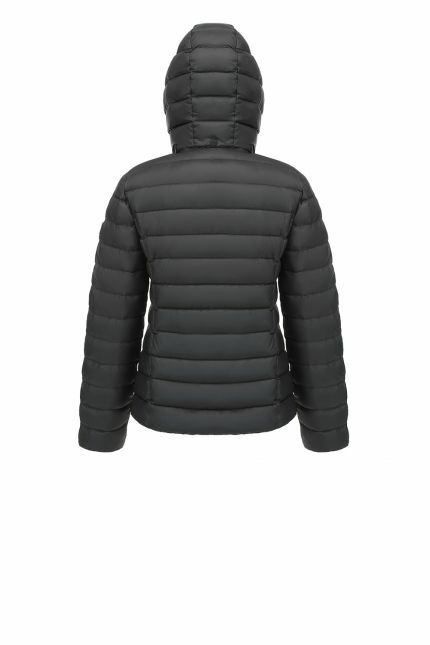 This hooded down jacket features a button fastening and a fixed hood. Leandra is a windproof and water-repellent coat, ideal for winter days. 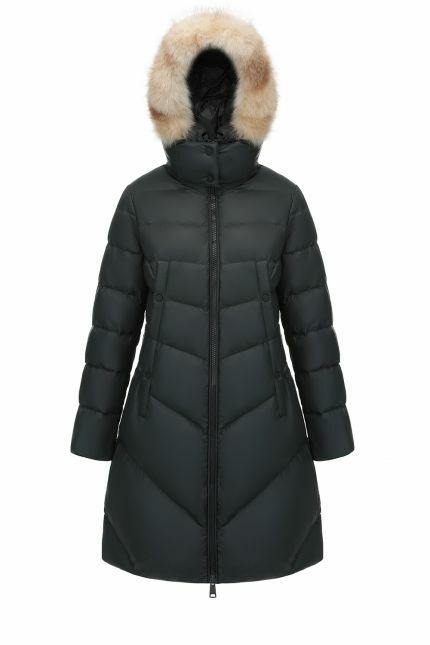 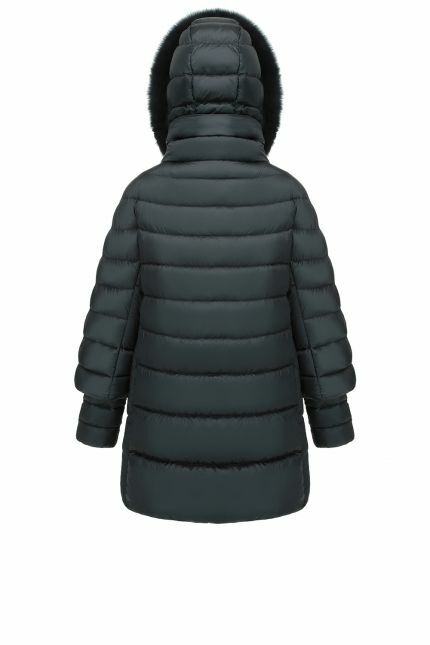 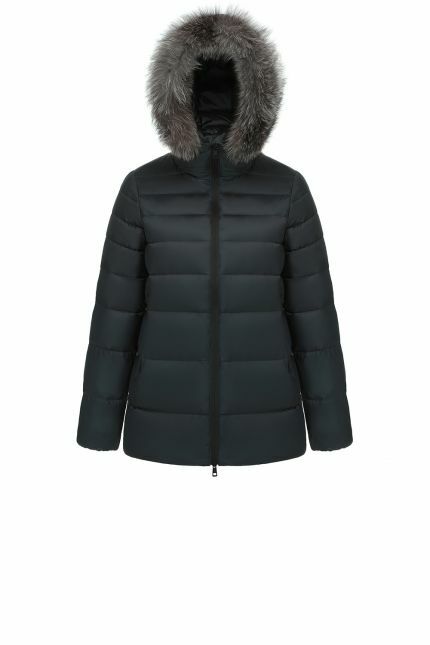 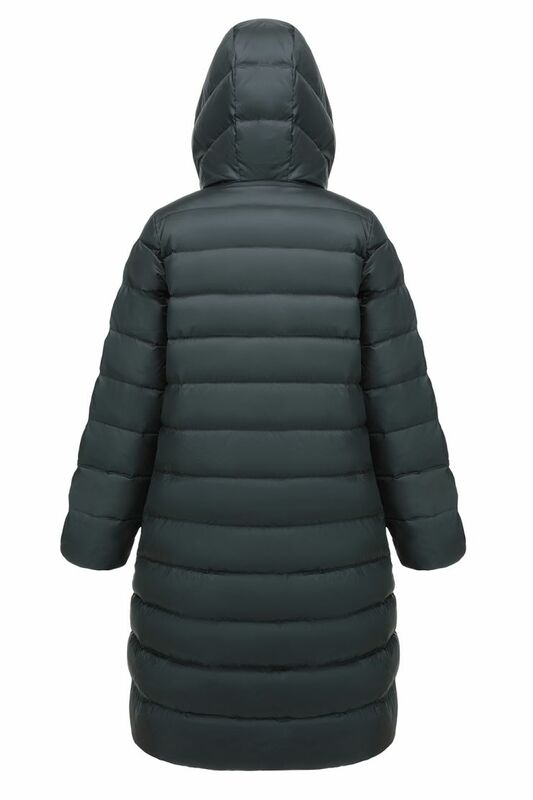 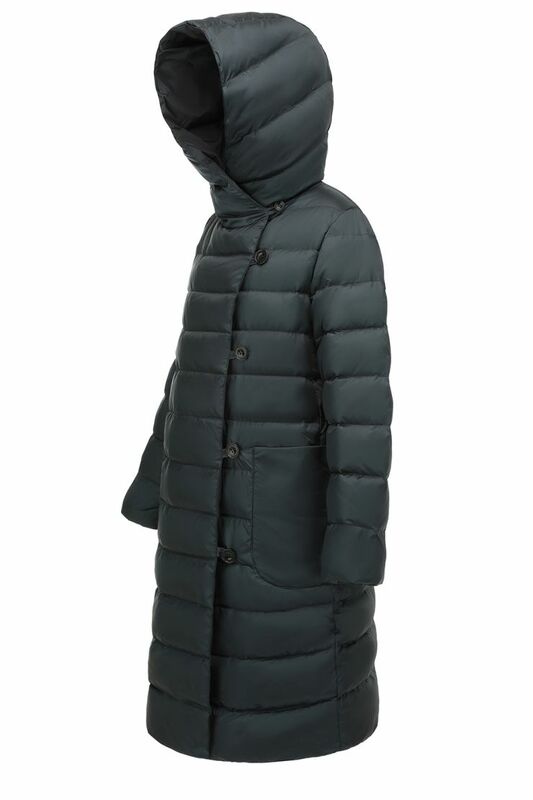 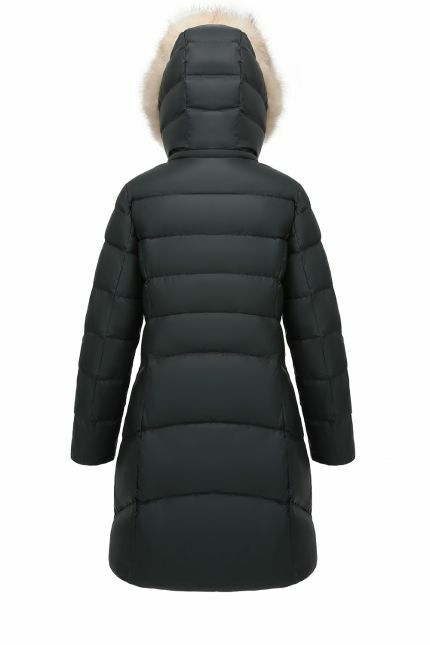 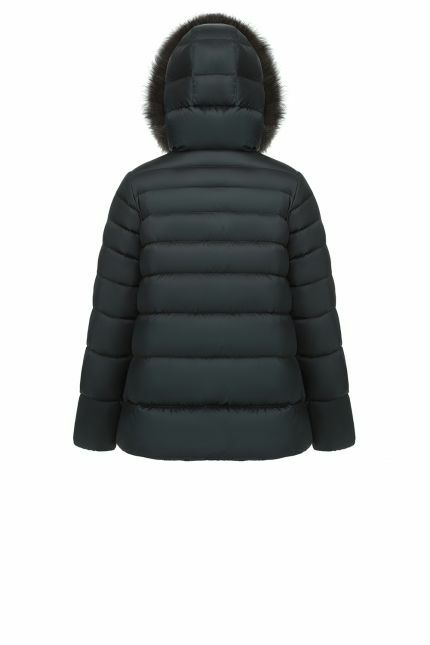 Padded in goose down, this belted coat is knee-length and is perfect from day to night and fits with any outfits.